VATICAN CITY (CNS) — Pope Francis told a group of Japanese visitors to the Vatican that he wants to visit Japan in 2019. “Taking advantage of your visit, I would like to announce my desire to visit Japan next year. We hope it is possible to do,” the pope said Sept. 12 during a meeting with members of Japan’s Tensho Kenoh Shisetsu Kenshoukai, a cultural association. 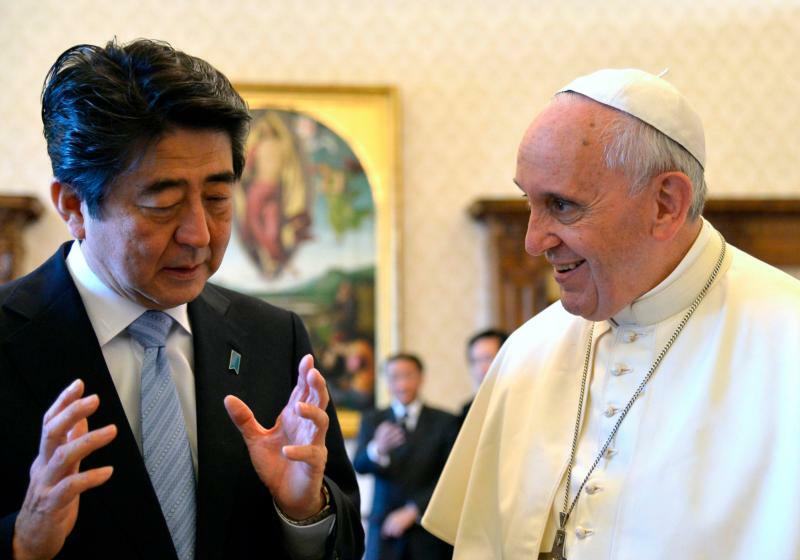 Pope Francis has received several invitations to visit Japan, including an invitation in 2013 from Prime Minister Shinzo Abe. A more recent invitation, according to the Japanese daily The Asahi Shimbun, came from the mayors of Nagasaki and Hiroshima in May; they asked him to visit the two cities that were decimated by atomic bombs in August 1945 and use the occasion to urge world leaders to abolish nuclear weapons. “The number of ‘hibakusha’ (‘survivors of the atomic bomb attack’) who had been exposed to radiation after the dropping of the atomic bombs is declining every year. Please come to Nagasaki and encourage the A-bomb survivors,” Nagasaki mayor Tomihisa Taue reportedly told the pope. St. John Paul II visited Japan in 1981, including the cities of Hiroshima and Nagasaki. During his visit to the Peace Memorial Park in Hiroshima, St. John Paul called on government leaders to stop stockpiling nuclear weapons. “To those who hold political and economic power, I say: let us pledge ourselves to peace through justice; let us take a solemn decision, now, that war will never be tolerated or sought as a means of resolving differences; let us promise our fellow human beings that we will work untiringly for disarmament and the banishing of all nuclear weapons; let us replace violence and hate with confidence and caring,” St. John Paul said Feb. 25, 1981.